This booklet provides Vermont property owners with a basic guide to taking care of their historic barns and farm buildings. It includes some general guidelines, a short history of barns, ten tips for barn maintenance and repair, ways to adapt barns to other uses, sources of advice and funding for barn preservation, and a list of organizations that offer aid to those working on their barns. "It's good to know that the barn's been repaired. My people worked hard here. So did I. That's what these barns represent, hard work; long days but good ones. I think that's why barns are so important to people. Each one has a story to tell." John Smith, South Newbury, Vermont. Old barns are useful and to many people beautiful, and each one is a part of Vermont’s heritage. That doesn’t mean every one can be saved, but it does mean that they should be maintained and reused if it makes sense. It often makes good economic sense to keep barns. They provide valuable storage and work space. They usually can be adapted to new uses at a much lower cost than building a replacement. Where budgets are tight, adapting an existing barn rather than building new can mean the difference between “paying as you go” or paying interest on a bank loan. Preserving a barn’s historic character can go hand-in-hand with the economic and efficient use of a farm building. Many owners simply enjoy using and taking care of their old farm buildings. They appreciate the historic character of the barns, stables, corn cribs, sugarhouses, and the surrounding landscape. They respect and value the heritage of their families and other Vermonters who made and worked these farms. Taking care of what you already have, repairing rather than replacing things whenever possible, and replacing only what needs to be replaced is a tradition on many Vermont farms. It is also the essence of preserving historic agricultural buildings. For the last two hundred years farm families have been good stewards selectively keeping and adapting the buildings that represent our history. Our generation now faces the challenge of maintaining this irreplaceable legacy for future Vermonters to use and enjoy. Vermont farm families have continually adapted their barns and farm buildings to keep up with changing markets, technology, and styles. For early families, a single barn provided shelter for livestock, a storage space for grain and animal fodder, and a protected area for work and chores. By the 1850s Vermont farmers faced increased competition from farm products shipped by railroad from western states, and they began specializing in dairying and other income-producing activities. On many farms the main barn became the dairy barn, as farmers built separate for horse stables, granaries, corn cribs, poultry houses, shops and equipment sheds. In the second half of the nineteenth century new machines for mowing and harvesting allowed families to farm more land and increase their livestock. Farmers built very large barns to house their herds and to reincorporate many of the functions that had for a time been in separate buildings. 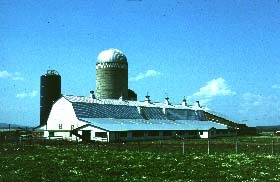 As the making of silage became popular, interior and then exterior silos became a fixture on dairy farms. To improve sanitation, farmers began keeping milk cool in small milk houses attached or next to their dairy barns. In the twentieth century dairying became the dominant farm activity. Tractors and electrical power transformed much farm labor. Sanitation regulations required washable concrete floors in barns and the cooling of milk in separate milkhouses and then bulk tanks. Buildings for horses gave way to equipment sheds for motorized field equipment. Purchased bulk feed replaced many traditional grains raised since first settlement. Although the number of farms in Vermont has dropped dramatically, the amount of milk produced has not. 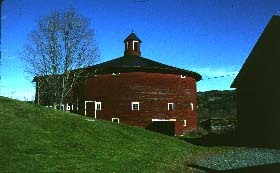 Vermont’s early farmers built their barns based on a traditional barn design that the original colonists brought with them from England. The basic design remained popular for smaller barns throughout the nineteenth century. Measuring about thirty feet by forty feet with a pair of large, hinged wagon doors on the long side and unpainted vertical boards on the walls, the English barn usually stood on a level site without a basement. Inside these barns were divided into a center drive and threshing floor (onto which the pair of doors open) with hay and grain storage on one side and animal stables on the other. By the mid-1800s, many farmers adopted a new design for their barns which allowed them to house up to ten cows and shifted the main entrance to the gable end. Inside the center drive floor followed the ridge of the roof with cow stables in a row on one side and hay storage on the other. Usually built into a hillside so that manure could be pushed into and stored in a basement below, these barns could be expanded by adding additional bays to the rear. To reduce winter drafts, farmers rejected traditional vertical board siding in favor of tighter board-and-batten, clapboard or shingle sheathings. They soon found that rooftop ventilators were needed for fresh air and windows for light. Those farmers specializing in dairying soon needed space for more than ten cows, and many built huge multi-storied bank barns to house cattle and other livestock and to store winter forage and grain for them. At the uphill gable end, a covered bridge or “high-drive” often provided access for wagons to the upper hayloft. Cow stables with rows of wooden stanchions are in the story below, with manure stored in the basement. Most late bank barns are sheathed with clapboards and have elaborate wooden ventilator cupolas, often topped by decorative weathervanes. Although fewer farmers built round barns than other types, the distinctive shape makes it noteworthy. Like a late bank barn, this design takes advantage of gravity to move hay from the loft down to the cow stable and manure to the basement. Often a silo rises through the center. The design was meant to save labor, with all cows facing into a central feeding point, and for a time was promoted by agricultural colleges as a progressive way to house dairy cattle. After 1910 government health regulations for the production and handling of fluid milk required new barn designs. Agricultural college experiment stations promoted the gambrel-roofed, ground stable barn design, which was widely adopted throughout the country. These barns housed cows on a washable concrete floor in steel pipe stanchions at ground level. The gambrel roof made an ample hayloft and could be erected with pre-fabricated trusses. Ducts from steel ventilators atop the roof provided fresh air for the cows, and long rows of small windows gave light to the stable area. A small, milk house was usually attached to the building. Tip #1 - Inspect It, Bottom to Top. It is a good idea to thoroughly check the condition of your building at least once a year to identify problems and make plans for any repairs. Often simple, timely repairs can prevent thousands of dollars in damage. Recognizing problems before they become critical will help you plan and budget for work on the building when you need it. Water is the root cause of most building deterioration. If unprotected and left damp, wood will decay, destroying sheathing, flooring, and eventually the structure. The freeze-thaw cycle of water in the ground can cause masonry and concrete to crack and heave. Most insects and fungi that attack wood prefer damp conditions. The impacts of falling trees, wind-blown debris, and equipment can also seriously damage buildings or create a problem area where water may begin its destruction. Walk around the outside of the building first. Look for evidence of leaks and dampness; use binoculars for the upper stories and roof. Clear away overgrowth and debris. Look at the grade around the building to see if run-off will flow into the foundation. Has the foundation heaved? Is there dampness or rotting wood where the structure rests on its foundation? Are the lines of the building straight? Are walls leaning or bulging or the roof sagging? Are the eaves and roof-edge in good condition or deteriorating? Note any peeling paint and rotting wood, and look up and down to determine whether water might be coming down from the roof or up from the foundation. Note any areas damaged by equipment or storm debris. Inside the building begin with an inspection of the basement or foundation. See if it is sound and identify any problems in the support for the first-story structure and floor joists or flooring. Bring a flashlight so you can see in dark areas. Use a screwdriver or pen-knife to probe for rot in wooden structural members. As you move into the upper stories, keep an eye out for spoiled hay or debris that covers dangerously rotted areas where your weight may cause you to fall. Inspect each story from beneath before venturing up. If something looks unsound, assume that it is until you have an accurate assessment. Don’t “test” it with your weight! Check on the inside any problem areas you spotted on the outside of the building. Are structural elements deteriorated inside? Is there rotted flooring or floor joists? Look for splitting, where lighter, newly exposed wood shows a recent break. Water will stain wood dark and some fungi will make it appear white, so look for changes in the color of wood. Make a list of possible problem areas. Building professionals can help you assess the condition of your building. (For assistance in locating specialized professionals, such as contractors, architects, structural engineers, architectural conservationists, heavy-timber framers, and others, see the groups listed under “For More Information.”) Most will make an initial visit to develop a cost estimate and description of what needs to be done for either a full condition assessment or actual repair work. When talking with contractors make sure you understand what they think the problem is so that you can evaluate any solutions they propose. For example, one contractor may say the foundation needs reinforcement and suggest pouring a concrete wall, while another may correctly identify a drainage problem that must be fixed before any repairs are made to the foundation. Be wary of anyone who cannot clearly explain to you the cause of a problem and how a particular solution will correct it. Since more money can be made by selling and installing new materials than by repairing the old, carefully evaluate claims that old material “is simply worn out.” Consult with at least one contractor who specializes in repairs to historic buildings, because such contractors may know of or have experience with repair techniques that others do not. Photograph your building and its problems as a first step in planning for repairs. The photos will document the condition of your building and its problems before you do any work. They will also be helpful as you consult with others about solutions to problems you have discovered. Tip #2 - Make a Plan. Once you understand the condition of your building, you can develop a plan for fixing the problems and maintaining it. A good plan may extend over several years (seasons and budget allowing) and will address the most serious problems (such as roofs, foundations, and structural failure) first. Set priorities as you develop your repair and maintenance plan. You may need to correct some problems before others. For example, you should repair a leaky roof before you tackle interior features damaged by the leaks. However, if major parts of the roof structure need replacement, you will have to remove the roofing, so it will make more sense to fix the structure and then fix the roof. Ask yourself which work needs to be done first, and when can it be done? If funds are limited, can a small investment in time and materials now stop further deterioration or temporarily support a weak part of the structure? Even if your building demands immediate attention in one area, don’t forget to include in your plans regular maintenance on other parts of the building. Specify in detail any work you intend to have done so that contractors can bid on exactly the same specifications and you can compare estimates. One option is to hire an architectural conservationist or historic preservation architect to prepare a condition assessment and plan for you that will address what is wrong, what needs to be done, and what approximate costs will be. Professionals can save you time and money by identifying the least expensive but most effective way to solve a problem. When asking for estimates from contractors, request a fixed price for work that can be easily measured, but discuss time-and-materials contracts for projects that may be very difficult to estimate. It is easy to estimate roofing and painting, for example, but the full cost of jacking up a building and making structural repairs may not become apparent until work is underway. For time-and-materials contracts, break down the work into phases with a list of tasks to be completed and a maximum cost for each phase; that way you can ensure that work is completed to your satisfaction before committing to the next phase. Valuable archeological remains may be in the ground around your building. There may be artifacts that date your building, or evidence of an earlier building, or even a prehistoric site. Plan as little ground disturbance as possible and discuss your concerns with contractors before and during any work you undertake. Tip # 3 - Keep a Good Roof on It. Keeping a watertight roof on a barn is probably the number one maintenance task. Water from a leaky roof will rot roof boards, rafters, framing, and floors and damage what is stored in the barn. Check your roof at least once a year to see that it is watertight. Use binoculars to scan the outside, systematically following the rows where roofing overlaps and all flashing. Pay particular attention to potential problem areas where roofing or flashing may fail, such as the ridges, eaves, valleys, around cupolas, along intersecting walls, and anywhere snow and ice can drop down from a higher roof. Inspect the roof from the inside, looking for pinholes of daylight or walk through during a heavy rain or after a snowstorm watching for drips or dark stains. Repair any damaged flashing. Do not use tar to repair leaks because it is only temporary, may make the problem worse, and will make correcting the problem even more expensive. Wood shingle roofs rarely date from the time a barn was built, though you may find shingles under another layer of roofing. Once a wood shingle roof begins to fail, it is usually necessary to replace all of it. If you choose to do so, select edge-grain red cedar shingles that match the existing size and thickness. A wood shingle roof requires wood strapping underneath the shingles for ventilation and drying. The shingles will cup if laid directly over asphalt roofing or tar paper. Slate roofs will last up to several hundred years, and it is usually more economical to repair them than to replace them with other materials. Every few years you will have to replace several broken or missing slates. A roofing contractor familiar with slate roof repairs will give you the best price and be able to match the size and color of existing slates. Be wary of offers by contractors to remove your slate for salvage and install a new material; they may simply be selling you what they know how to do rather than what is your best and most economical option. Be sure to use adequate staging during repairs to slate and flashing. Slates will crack and need replacement if the roof is walked on. Hang replacement and new slates with stainless steel or copper nails and hooks, which will not rust through. Metal roofing, including early galvanized metal, standing seam, and corrugated roofing, is very durable, but may need painting to prevent rust after its original coating wears off. Coatings range in increasing cost and durability from galvanized to a baked (usually colored) finish to lead-coated, which is used for jobs that must last fifty years or more. Beyond rust, the most serious threat to these roofs is wind damage. Wind may lift sheets along the outside edges of the roof and the ridge cap. Nails in corrugated roofing tend to work loose slowly, so they should occasionally be hammered back down to prevent wind damage. Sheets may be single or double-locked where they join; double locking is both more secure and expensive. Make sure gaskets or grommets are used on the nails or screws that fasten down the roof to avoid leaks. Asphalt roofing is less durable than slate or metal, typically lasting between ten and twenty-five years. Although you can repair small holes or replace blown-off shingles, may be done, once asphalt begins to leak the whole roof generally must be replaced. Sunlight on the south side or moisture on the north side of roofs may lead to one side wearing out before the other. If possible use a ladder to inspect an asphalt roof, since detecting the areas where the mineral surface has worn away may be difficult from the ground. Tab shingles often wear through between the tabs first. When you replace an asphalt roof, if the roof boards are solid, it is acceptable to install a second layer of shingles over a worn first layer. If there are already two layers, remove all the shingles and repair the roof boards before installing new roofing. Decide to replace a roof only after exploring the repair options discussed above. As you choose the type of new roof you will buy, consider durability as well as cost. If possible the new roofing material should match the existing material or that of a known earlier roof covering. Since proper flashing is very important and varies with different materials and conditions, make sure that you or your contractor know which flashing materials and techniques are right for your roof. Tip # 4 - Make the Foundation Sound. A sound, well-drained foundation is essential for maintaining any building. Foundation failure can lead to structural collapse. Many buildings are at risk today because during cold weather they no longer house animals, whose body warmth prevented the heaving of foundation walls. Fieldstone forms the foundations for most historic agricultural buildings built before about 1915. The earliest barns and many smaller buildings simply had large stones under main posts for support. Shallow stone walls or piers “dry laid” (without mortar between stones) supported most barns before about 1840. After that, bank barns began a trend of usable basements that required more extensive masonry, often dry laid but sometimes mortared. In the twentieth century, concrete replaced fieldstone in foundations, a trend accelerated by sanitary regulations requiring washable concrete floors in dairy barns. Poor drainage and frost heaving are the primary foundation problems. Drainage problems occur when rain and snow runoff from roofs or nearby roads, yards, and fields drains into the foundation rather than away from the building or when migrating groundwater flows into the foundation. Poor drainage contributes to the problems of frost heaving, which is caused by the natural freeze-thaw cycle of the soil. Frost heaving will most greatly affect a foundation that is not heated or is not secure in the ground below the frost level. Dry laid and even mortared stone walls may bulge and collapse, and concrete floors may buckle. Heaving will also put stress on the structural frame of the building, and may put parts of it in contact with the soil, encouraging rot and other problems. Water pressure in the soil can crack even the strongest reinforced concrete if the drainage around a building is not good. Improving drainage is one way to help avoid costly foundation problems. The soil around a foundation should be sloped so that surface water flows away from the building. Do not allow vegetation, debris and other materials that retain water to accumulate around the foundation. Closing up openings and sheathing foundations or banking them with hay may help reduce cold penetration and frost action (but remember to remove any banking material in the spring to prevent water damage). Underground drains within the foundation may sometimes be necessary; they should flow to the surface well beyond the foundation. If you are rebuilding a foundation wall or constructing a new foundation, dig a trench around the perimeter and install drainage materials, including drain tile, crushed stone, and water barrier cloth. Repairing a foundation often involves jacking up the building, rebuilding its underpinning, and grading the surface so that water drains away from the building. Some contractors have developed innovative methods of pushing heaved stone foundations back into place with jacks and heavy equipment. Sometimes a cracked or heaved foundation can be stabilized with a reinforced concrete buttress, but if the area is unheated a concrete buttress on a stone wall will eventually separate from the stone. If a stone wall is severely heaved or has collapsed, however, the best repair will be to rebuild the wall using the original stones. Consider a new reinforced concrete wall if the existing foundation is not historically important. When rebuilding or installing a new wall or piers, place the footings below the frost level (as much as five or six feet below grade in Vermont), and install good drainage (see above). Potential archeological remains should always be considered when working on foundations. Disturbing as small an area around the foundation as possible will help to preserve any remains. If while digging you discover any unusual and notable artifacts, consider contacting the State Archeologist at the Vermont Division for Historic Preservation. Tip #5 - Repair Structural Problems. Structural problems in agricultural buildings can be a serious threat to their survival. Structural failure can rapidly lead to collapse of part or all of a building, particularly when the building is stressed by a heavy load of equipment, hay, snow, or even by high winds. Wood frame agricultural buildings are relatively easily dated by the type of structure they have. Post-and-beam frames with heavy timbers and wooden pegged joinery generally date from the nineteenth century and perhaps earlier. Stud-frame construction with dimension lumber and roof trusses generally dates from the late-nineteenth and twentieth centuries. Sometimes farmers reused timbers or framed sections recycled from earlier barns in their new barns, confusing matters for the casual observer. Many barns are composed of two or more structures from different periods. Before doing any structural repairs make sure you gain a full understanding of what caused the problem. You should then remedy the source of the problem first. Often you may need a structural engineer or experienced timber framing contractor to accurately assess conditions and develop repair options. Perhaps the most common problems are decay of sill timbers, because soil, wet hay, or manure have built up around the base of the building, and unrepaired roof leaks that lead to decay in the roof structure or in the plate timber where rafters meet the wall. Often if the foundation is affected by frost heaving, it places unusual stress on the frame, twisting it and breaking and pulling apart the joinery. Runoff or soil drainage problems may also keep some timbers moist, leading to wood rot, insect damage, or fungus growth. Check over the entire frame of the barn, timber by timber, each year. Look for any structural defects. Check sill timbers and their joints for decay or cracks indicating stress. Look at support posts and footings in the basement to see that they are sound and without long, deep splits. Are there any broken rafters or is the ridge-beam broken or split? Have floor joists separated from the timbers they rest on or are joined to? If you detect any of these problems that indicate stresses on and movement of the structure, it is important to determine whether the stress or movement is still occurring or if it was an isolated incident or temporary condition some time ago. Overall, evaluate where the structure has settled, where loads have concentrated, and whether the floors and roof structures are weak. Stabilizing and repairing structural damage usually involves hiring a contractor experienced in working on old buildings. Due to the risks, jacking and reinforcing a structure should be done by those with experience and proper tools. Local sawmills are usually the best source for custom-sawn timbers. Sometimes new steel cables or cross beams may prevent walls from splaying out and allow continued use of a barn. Often new wood may be “sistered” (joined) onto the side of deteriorated or broken timbers to reinforce them, avoiding replacement of structural members, such as sills, plates, or joists. Epoxy consolidants and fillers can sometimes be used to repair damaged wood that is not subject to structural stress. Tip # 6 - Maintain Siding and Trim. Siding and trim are part of your building’s primary defense against the weather. If properly maintained and painted, they will last indefinitely and protect the structure and interior of the building. Original siding contributes greatly to the historic character and appearance of agricultural buildings and is often a good indicator of their age. Thick, wide boards with spaces between sheathed the earliest barns, the spaces providing light and ventilation inside the barn. After about 1840 farmers began to sheath their barns with board-and-batten and overlapped double boards, also adding some windows. After 1870 most barns were sheathed with clapboard or wood shingle, with more windows and often a rooftop cupola for light and ventilation. Trim boards appeared on the corners of barns and cupolas and around windows and doors. In the twentieth century shiplap and “novelty” siding became a common choice for sheathing barns, and galvanized steel ventilators on rooftops helped to circulate air. Sun and rain slowly wear away the surface of wooden siding and trim, while accidental impacts or water damage may lead to more rapid deterioration. Any surface decay near the ground or on roof cornices or soffits should be thoroughly assessed to ensure that it does not hide structural or other serious problems that should be repaired first. Rough, vertical board siding, as long as boards remain intact and well-ventilated, may last two hundred years unpainted. Most other siding and trim requires painting to preserve it. Repairs to siding and trim should match the original if possible. Local sawmills can supply rough cut boards or finished clapboards to patch in with existing siding. Most trim is made from planed pine boards. However, radially sawn spruce or cedar clapboards are more durable than resawn pine. Similarly, cedar and then spruce will outlast pine in comparable grade shingles. Use galvanized box nails on all siding and trim to avoid rust stains. Painting finishes a good repair job. A durable enamel protects the trim pieces around windows, doors, and on corners that get worn and damaged more often. A wooden cupola on top of a barn is an important architectural feature requiring special maintenance. Its exposed location makes it very vulnerable to weather damage. Keep it protected by regular painting. Inspect and repair its roofing and flashing, as needed. It is hard to get to. For repairs and painting scaffolding is needed, which may be built up from the roof outside or cantilevered out of the cupola openings. Tip # 7 - Paint It. A good paint job provides both decoration and protection. Unless you have an early barn with rough vertical board siding that was never meant to be painted, painting is one of the best ways to preserve the exterior of your barn by protecting it from moisture penetration. If you prepare the surfaces thoroughly and use a good quality paint, you will be rewarded with a paint job that will last ten years or more. The traditional red and ochre paints found on many barns became widely available in Vermont by about 1850. Made with locally produced iron oxide earth pigments and linseed oil, the paints were relatively inexpensive, and it became fashionable on farms throughout the region to have a red barn contrasting with the white farmhouse. At the end of the century, shingled barns stained dark green or brown became fashionable on gentlemen’s farms. In the twentieth century, red, white, and yellow have been the colors of choice of most farmers, often with the trim in a different color. Before you paint make sure to inspect where the old paint has failed to see if there are indications of other problems. Paint that is peeling in large flakes down to bare wood usually indicates a moisture problem that should be fixed before repainting. Roof and flashing leaks or unprotected openings that let water into the walls are the likely causes. If the problem is near the base of walls, it may indicate sill decay or contact with the ground that wicks water into the wall. If only the top layer of paint is peeling away, the surface was probably not properly prepared before the last painting. It is normal for paint to wear away in small flakes, especially on the sunny south and west sides of the building. Preparing the surface for painting is almost as important as painting itself. Remove loose paint chips and dust from all surfaces. A sharp hand scraper works best with loose paint. Do not use torches to remove paint because they may cause a fire. Gentle power washing may be effective if surfaces are allowed to dry several days before painting. Avoid abrasive paint removal methods such as sanding or sandblasting, which will damage the wood and may create dust hazards. Many older paints contain lead pigments, which are a potential health hazard. As you remove paint by washing or scraping, make sure no living creature will ingest or inhale lead dust. Children and pregnant women should not risk any exposure. Catch paint chips in a drop cloth and dispose of them properly. Paint after all repairs are complete and the surface is properly prepared, clean and dry. New paint should be high quality, guaranteed to last ten years or longer. (Cheap paint is no bargain when you consider the effort it takes to prepare your barn for painting.) To reduce costs you can order your paint from manufacturers in five-gallon containers. Applying paint with a hand brush gives the most durable results. Labor can be reduced by applying paint with a sprayer, but windows, roofing and other unpainted areas should be carefully masked to prevent damage from overspray. A good compromise for large barns is applying the paint with a sprayer in sections and brushing it into the wood by hand. Plan to cover 300 to 400 square feet per gallon of paint. Paint doors, windows, and trim with a durable trim enamel. Tip # 8 - Keep Doors and Windows Repaired. As the moving parts of your barn, windows and doors may require more maintenance than other features, but their repair will be much less expensive than buying replacements. Fixing windows and doors makes a good “rainy day” project, when you have time to disassemble and adjust the parts that keep these features working. Before the mid-nineteenth century most barns had at least one pair of large wagon doors on long strap hinges, as well as smaller hayloft doors and doors for people. After 1850 farmers began installing sliding doors supported by wheels on a track. Over time, more and more windows were added for light and ventilation, making chores easier and animals healthier. Often each horse stall had its own window, cow stables a row of small windows, and chicken coops large windows on their south walls. Doors are often damaged by heavy use. First check hinges, latches, and sliding tracks to see if they need to be adjusted or reset with longer or new screws. Damaged boards along outside or bottom edges of doors can be patched or replaced using new boards (that match the existing if possible). In buildings that have settled or sagged due to structural problems doors often rub or jam at the bottom or jump off their tracks. Repairing structural problems and jacking up the building may solve door problems. Moving the sliding track or trimming the door itself are last resorts if other methods have failed. Windows may have broken glass, deteriorated glazing, or problems with the wooden sash and frame. Replacing or patching decayed, broken or missing pieces of the sash and frame may require taking apart the window. Fortunately most windows are made for this. New or recycled glass may be installed with new glazing putty. (Remember to apply boiled linseed oil as a preservative to the wood before glazing.) When painting windows, try to draw a line of trim enamel along the edges of the panes overlapping 1/16 of an inch onto the glass to seal out water. When scraping away excess paint, leave this amount of overlap rather than scraping into the glazing putty. When needed, replacement “barn sash” that matches the original can be ordered from lumberyard catalogs or local woodworkers. New window and door openings dramatically change the historic appearance of a barn and should be added only if needed. New windows and doors should be of a size, proportion, and type similar to existing windows and doors. They should be placed and spaced so that they fit in with the existing pattern of door and window openings and do not call attention to themselves. Tip # 9 - Save Some Original Interior Features. Barns often have historic interior features that are worth keeping. As you make repairs and adapt to new uses, think about how some of these features can be saved and reused to keep a physical record of the history of your building. Barns from the early 1800s often had few interior features, so those that survive are rare and valuable, such as ladders leading to haylofts, low walls at the base of the hay mow, threshing floors, and cow stables with wooden stanchions. In later barns and agricultural buildings many other specialized features were built in, such as horse stalls, sheep and pig pens, laying boxes for poultry, hay tracks and forks, grain bins, interior silos, hoists for slaughtering, work benches, tack rooms, and finished rooms for stable hands and offices. Flooring is the interior feature usually requiring the most maintenance in a well-used barn. Roof leaks and decaying hay may damage flooring and joists underneath, creating a hazard. Clear and sweep clean floors every few years so you can assess their condition. Many older barns have two-inch thick boards on the main floor, which can be matched with rough-sawn hemlock, spruce, and tamarack available from many local sawmills. Haylofts often have planed inch-thick boards, which may also be available locally. Joists supporting haylofts are often undersized, and new or additional joists may be required if the loft is to be used for heavier loads. Electrical and mechanical systems often require updating or maintenance to keep a barn useful. Many barns have been lost to electrical fires. Old electrical wiring and fixtures should be inspected by an electrician and defective materials should be replaced. Mechanical systems for removing manure, hoisting hay and distributing silage will all benefit from regular lubrication and maintenance. Check to see that the system as originally installed does not cause structural problems or promote water damage by creating unprotected openings in the building. 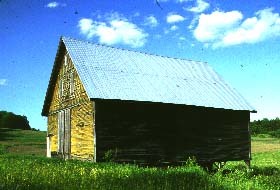 (Many early barns had cross beams removed in the later nineteenth century when hay forks were installed, allowing roofs to sag and walls to splay out.) Inspect where the system is attached to structural members and sheathing to see that it is secure and not damaging the building through vibration or poor weight distribution. Interior renovations can usually bring a historic barn up to code and allow for the installation of the same equipment and mechanical systems that you could put in a new building. Before you begin any remodelling, develop a plan on how to use all the existing space of your building, rather than simply starting on a part of the barn that happens to be free of other uses or clutter. As you make plans, remember to consider ways that you may be able to keep significant interior features. For example, a horse stall might become a location for small equipment and an interior silo a storage area. Keeping such features will serve as a record of the former uses of your barn, and will add character to any new interior. New additions to a barn should be well planned to avoid maintenance problems and to respect the building’s historic character. Generally an addition should not be so big that it overwhelms the main structure. Additions that are slightly lower, narrower, and set back from the wall of the original structure will best preserve the historic form and roofline of the building. The addition should be located so that it does not cover important parts of the original building. Often the least visible side of the original barn is a good choice. Avoid complicated intersecting rooflines that may collect snow and leak as the buildings settle or move under heavy loads. The site of the addition should be properly chosen and prepared so that no drainage problems will develop around the foundation. If possible, siding and roofing materials on the addition should match the original barn. Not all new uses fit in all barns. A barn that might make good housing may not make a good gym. (Storage is perhaps the one use suitable for most any former agricultural building.) New uses that take advantage of the existing features of a building will result in the most successful conversions. For example, barns with large open, clear-span interiors will allow for installation or storage of industrial equipment, while smaller barns with many existing stable windows will be more readily adapted to housing or office space. The exterior of your barn should be changed as little as possible as you adapt to a new use. It is important to retain slate roofs, weathered siding, old trim, windows, and doors as visible evidence of the building’s age. Add new windows in existing openings, such as unused hay and barn doors. If more windows are needed, consult with historic preservation design professionals about size and placement if possible. (Generally, new wooden windows should match the size of existing windows on the same barn level. They should be few in number and placed and spaced so that they match the existing pattern of door and window openings and do not call undue attention to themselves.) Rather than building large, new structures close by your barn, maintain the area around it as open as possible to preserve a sense of its agricultural setting. The interior of your barn should be easy to adapt while retaining some historic elements. Leaving exposed framing in some areas and remnants of old stalls, pens, stanchions, or other animal enclosures will help keep something of the historic use and character of the barn. If possible, design an area where the barn’s former open interior from floor to ceiling can be preserved, perhaps for an entry area or meeting room. Plan floor space to make the most of existing window openings and to minimize the need for new windows, which may greatly change the exterior appearance of your barn. Preserving a barn does not mean turning it into a museum or something that cannot be used or changed. It does not mean that the barn can only be used or adapted one way. Preserving a barn means finding a use that will help make its upkeep worthwhile. It also means taking a conservative approach to needed repairs and changes rather than doing quick-fixes or using new materials simply because they are advertised to be better and supposedly maintenance-free. 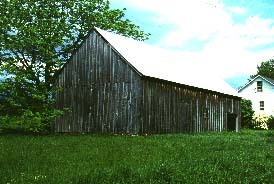 The common-sense approach to preserving barns described here is based on the national guidelines for preserving historic buildings, which are called “The Secretary of the Interior’s Standards for Rehabilitation.” These standards are always to be applied taking into account the economic and technical feasibility of any work to be done. Although expressed in the vocabulary of historic preservation and design professionals, the standards are still remarkably direct in spelling out what makes sense and what does not when you are fixing a historic building. When professionals say that work on barns should meet these standards, they are saying that the work should follow the approach to barn preservation described in this web site. 1. A property shall be used as it was historically or be given a new use that requires minimal change to its distinctive materials, features, spaces, and spatial relationships. 2. The historic character of a property shall be retained and preserved. The removal of distinctive materials or alteration of features, spaces, spatial relationships that characterize a property shall be avoided. 3. Each property shall be recognized as a physical record of its time, place, and use. Changes that create a false sense of historical development, such as adding conjectural features or elements from other historic properties, shall not be undertaken. 4. Changes to a property that have acquired historic significance in their own right shall be retained and preserved. 5. Distinctive materials, features, finishes, and construction techniques or examples of craftsmanship that characterize a property shall be preserved. 6. Deteriorated historic features shall be repaired rather than replaced. Where the severity of deterioration requires replacement of a distinctive feature, the new feature shall match the old in design, color, texture, and, where possible, materials. Replacement of missing features shall be substantiated by documentary and physical evidence. 7. Chemical or physical treatments, if appropriate, shall be undertaken using the gentlest means possible. Treatments that cause damage to historic materials shall not be used. 8. Archeological resources shall be protected and preserved in place. If such resources must be disturbed, mitigation measures shall be undertaken. 9. New additions, exterior alterations, or related new construction shall not destroy historic materials, features, and spatial relationships that characterize the property. The new work shall be differentiated from the old and shall be compatible with the historic materials, features, size, scale and proportion, and massing to protect the integrity of the property and its environment. 10. New additions and adjacent or related new construction shall be undertaken in such a manner that, if removed in the future, the essential form and integrity of the historic property and its environment would be unimpaired. Anyone with an eligible building can apply for a grant. Applicants must spend an amount of cash equal to or greater than the amount they apply for. In other words, the grant will only pay for up to half of the amount of cash spent on the work. The applicant must keep paperwork on how the grant is spent and agree that all work on the building for the next 5 years will meet historic preservation guidelines (see the “Historic Preservation Standards” section). 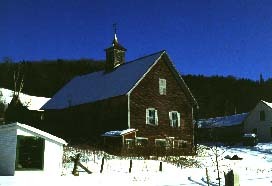 Applications for the barn grants are available from the Vermont Division for Historic Preservation (if funds have been appropriated). For more information contact the Vermont Division for Historic Preservation Barn Grant Program. An easement is a means property owners can employ to ensure that a historic barn is protected and maintained forever. It is a legally recognized agreement between an owner and an organization eligible to hold and enforce such an agreement. It gives a less-than fee simple interest in a property to the organization. The property remains in private hands, and the organization ensures that the building is protected no matter who owns the property. To create an easement, the building is documented with photos and in writing to identify what important features will be protected. This documentation is incorporated by reference in the contract between the owner and the organization that is recorded with the Town Clerk. The easement then requires that all current and future owners abide by the terms requiring protection and maintenance of the important historic features of the building. The value of an easement may be considered a charitable donation if it is given to a non-profit organization. The value of the donation is the value of the property without an easement minus the value of it with the easement (which depends on a wide variety of circumstances for individual properties). The donation of an easement may also reduce estate and local real property taxes. The State of Vermont has small matching grants for preservation projects on historic buildings (including barns) owned by non-profits and municipalities. 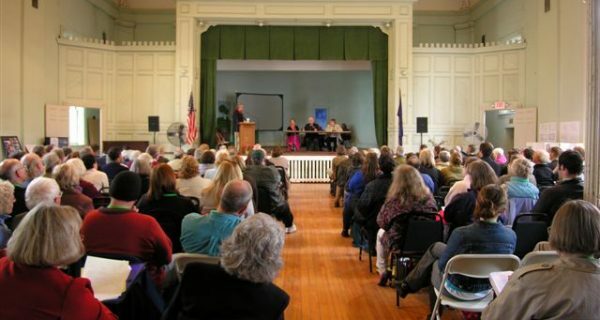 The Vermont Advisory Council on Historic Preservation awards the grants, which are administered by the Vermont Division for Historic Preservation Grant Program. Agricultural buildings can be eligible for the grants if they are owned by a non-profit organization or a municipality and open to the public. A building must also be listed in or eligible for the National Register of Historic Places. (See the “Historic Register Listings” section for information about National Register eligibility). The grants are for work that repairs or helps preserve a historic building. This includes repairs to roofs, foundations, windows, walls, structural framework, and decorative elements. New construction, additions, and electrical or heating work are not eligible. Applicants must spend an amount of cash equal to the amount they apply for. In other words, the grant will only pay for half of the amount of cash spent on the work. The applicant must keep paperwork on how the grant is spent and agree that all work on the building for the next five years will meet historic preservation guidelines (see the “Historic Preservation Standards” section). Applications for the grants are available in late spring (after the end of the legislative session) from the Vermont Division for Historic Preservation (if funds have been appropriated). For more information on the Vermont Historic Preservation Grant program contact the Vermont Division for Historic Preservation. The Vermont Housing and Conservation Board purchases development rights and conservation easements from farm owners to preserve working farms. If there are one or more historic buildings on a farm, the conservation easement may contain a paragraph called a “Historic Preservation Notification Provision” for the building(s). A Notification Provision for a historic building included in a conservation easement makes that project a higher priority for VHCB funding than the project would be without it. This “Notification Provision” is an agreement between the owner and the VHCB that owners will consider historic preservation guidelines when they do any work on the specified building(s). Owners further agree to notify the VHCB before doing some types of work that may affect a building’s historic character. The Notification Provision does not require that owners follow the preservation guidelines, only that they consider them. It provides no enforceable protection for a historic building. After notifying the VHCB and letting the required time period elapse, owners can do whatever they think is best. The intent of a Notification Provision is to allow the VHCB to suggest to owners possible alternatives to any work that might alter a building’s historic character. It may also give the VHCB and other groups time to find sources of funding to help owners do work they might not otherwise be able to afford. The National Register of Historic Places is the official Federal listing of buildings, sites, and objects considered significant in American history and culture. The State of Vermont has a similar listing called the State Register of Historic Places. Both listings recognize the buildings and archeological sites that are an important part of our history and worthy of preservation. Listing in the registers does not create zoning or other restrictions on what owners can do with their property. Using your own money, you can alter or even tear down a building on the registers without consulting anyone in the state or federal government. Listing does not require you to open your property to the public. Listing in the registers does provide a property some protection from the actions of the state and federal governments. Agencies or individuals who receive funding, licenses or permits for projects from the state or federal government must consider how their projects affect properties that are listed or are eligible for listing. They must attempt to minimize any negative impacts of their projects on listed or eligible properties. The Vermont Division for Historic Preservation assists state and federal agencies by commenting on their consideration of historic properties in projects. Listing in the National Register of Historic Places has the special benefit of qualifying an income-producing property for the Historic Rehabilitation Investment Tax Credit (see “Tax Credits” following). It may also qualify your property for special historic preservation matching grants (see “Barn-Aid Programs” section). Properties that are eligible for but not listed in the National Register may also qualify. For more information on eligibility for and listing in the registers, and for any information that may already be compiled about your building, contact the Vermont Division for Historic Preservation. The owners of income-producing properties that are listed in the National Register of Historic Places are eligible for the Historic Rehabilitation Investment Tax Credit. The credit is a powerful tool to encourage investment in historic buildings so that they will be useful for many years to come. The credit is a federal income tax credit for 20% of the total cost of a rehabilitation that exceeds the adjusted basis of a building (the value of the property minus the value of the land and any depreciation taken). The rehabilitation must be certified as meeting the Secretary of the Interior’s Standards for Rehabilitation (see “Historic Preservation Standards”) by the Vermont Division for Historic Preservation and the National Park Service. Before beginning any work on a potential tax credit project, it is best to contact the Vermont Division for Historic Preservation to aid you in your planning. You will need to document the existing condition of a property thoroughly with photographs before any work is done. Gaining approval from the Division of your plans before you begin will help ensure that your project will qualify for the credit. There is also a 10% federal tax credit for substantial rehabilitation of non-residential income-producing buildings built prior to 1936 that are not listed in the National Register. No certification is required, but you should contact a tax professional to ensure that you claim the credit properly. The Division for Historic Preservation can provide advice on how to do such a rehabilitation while maintaining a building’s important historic characteristics. The Preservation Trust of Vermont may award Barn Technical Assistance Grants as funding permits to plan for the preservation of barns and other agricultural outbuildings. There are no formal guidelines or application procedures for the grants and no set amount limit, although the awards are usually small. The grants pay for professional architectural, structural, and conservation assessments, usually of landmark buildings. For more information on the grants and how they might work for your building, contact the Preservation Trust of Vermont. These nonprofit organizations work with farmers and other individuals, neighborhood groups, local organizations, and local and state government to conserve land for agriculture, forestry, and recreational uses. They arrange the donation and purchase of conservation easements on farmland, including historic preservation notification provisions. Nonprofit conservation organization conserving working farms, wetlands, wildlife habitat and scenic areas in the Connecticut River Valley towns of Orange and Windsor Counties. Nonprofit membership organization with seven regional offices arranging the donation and purchase of conservation easements to permanently protect open and working Vermont land for agriculture, forestry, and recreational uses. Call 1-800-639-1709 for the location of the office in your area. Department of History, Wheeler House, University of Vermont, Burlington, VT 05405. (802)656-3180. Master’s-level graduate program in Historic Preservation. Faculty and students research and document historic agricultural buildings. Historic Windsor, Inc., Judy Hayward, Executive Director, PO Box 1777, Windsor, VT 05089. (802)674-6752. Non-profit group providing training in building preservation skills. Provides names of contractors skilled in historic preservation work. Sometimes needs buildings to study or work on for particular workshops. Offers annual workshop series on building preservation skills. 104 Church St., Burlington, VT 05401. (802)658-6647. Non-profit group promoting historic preservation. May provide grants for analyzing and developing work specifications for building preservation projects. Assists non-profits and volunteers doing building preservation through publications and sponsorship of workshops. Holds easements on historic buildings. U.S. Department of Agriculture. Regional offices throughout Vermont. Government program providing erosion and pollution control and prevention services to farms. Provides advice on proper drainage for agricultural buildings and surrounding fields, as well as names of local contractors who install proper drainage. Northeast Regional Office, 7 Faneuil Hall Marketplace, 5th Floor, Boston, MA 02109. (617)523-0885. Regional office of national non-profit membership organization chartered by Congress that promotes historic preservation and community revitalization. Offers publications on preservation topics that may address agricultural building preservation problems. Offers low-interest loans through the National Preservation Loan Fund to aid preservation of properties listed in or eligible for the National Register of Historic Places. Offers small matching grants from the Preservation Services Fund to nonprofit organizations and public agencies to initiate preservation projects. National Life Building, Drawer 20, Montpelier, VT 05620-0501. (802) 828-3211. State Historic Preservation Office coordinating state and federal protection and promotion of historic and archeological resources. Administers grants for historic structures. Provides information and assistance in preparation of nominations to the National Register of Historic Places and Rehabilitation Tax Credit applications. Provides information and publications on the history of agricultural buildings and listings of historic buildings in most towns. Offers advice on historic preservation treatments and names of local contractors experienced in working with historic materials. Reviews and comments on federal and state funded projects and Act 250 permits that may affect historic and archeological resources. 116 State Street, Drawer 20, Montpelier, VT 05620-2901. (802) 828-2416. State agency licensing and promoting agriculture. Provides copy of national BARN AGAIN! program pamphlet with examples of barn rehabs for agricultural use, with associated costs and comments by farmers. 58 East State Street, Montpelier, VT 05602. (802) 828-3250. State-created independent authority that administers public funds for land conservation and affordable housing. Makes loans and grants to non-profit organizations, municipalities, and state agencies for the purchase of development rights on farmland and the acquisition and preservation of significant historic, archeological, natural and recreational sites. Makes matching loans and grants for acquisition of locally important historic properties. This publication has been financed in part by a grant from the Vermont Housing and Conservation Board, which was established by the Vermont General Assembly in 1987 with the goals of “creating affordable housing for Vermonters, and conserving and protecting Vermont’s agricultural land, historic properties, important natural areas and recreational lands.” The Board administers the Vermont Housing and Conservation Trust Fund, making awards to municipalities, nonprofit organizations, housing co-ops, and qualifying state agencies. This publication has been financed in part with federal funds from the National Park Service, Department of the Interior, through the Vermont Division for Historic Preservation. However, the contents and opinions do not necessarily reflect the views or policies of the Department of the Interior, nor does the mention of trade names or commercial products constitute endorsement or recommendation by the Department of the Interior. Regulations of the U.S. Department of the Interior prohibit unlawful discrimination in departmental Federally Assisted Programs on the basis of race, color, national origin, age or handicap. Any person who believes he or she has been discriminated against in any program, activity, or facility operated by a recipient of federal assistance should write to: Director, Equal Opportunity Program, U.S. Department of the Interior, National Park Service, P.O. Box 37127, Washington, DC 20013-7127. A State Highway Project in Your Town? This book provides basic information on the law, the issues, and the process of Agency of Transportation projects for citizens and public officials in Vermont towns. 1995, 1998. 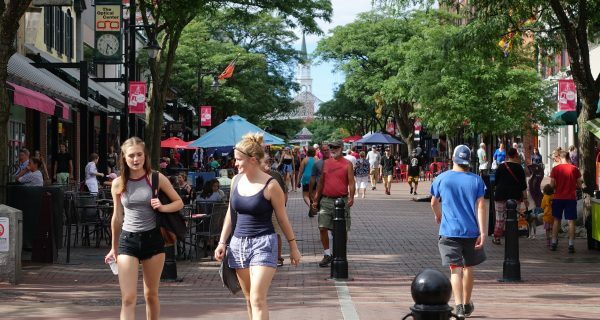 Post offices, municipal halls, libraries, courthouses, and other public buildings can play a critical role in keeping downtowns and town centers strong. Conversely, the loss of key public buildings can seriously damage the fabric of downtown. A report on successes in Saratoga Springs New York from planning journalist Philip Langdon. Is it possible to mix ingredients such as entrepreneurship, investors with charitable spirit, customer and community participation, and new systems of distribution to start and support a thriving locally-owned, small-scale, downtown department store? 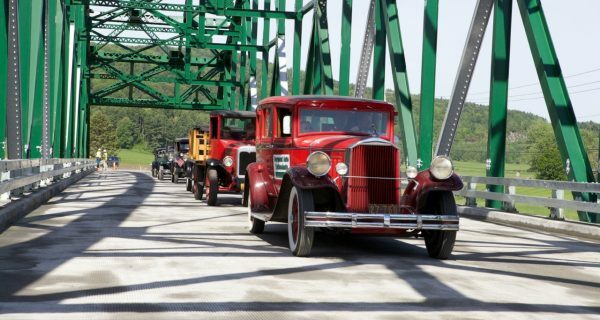 previous post: A State Highway Project in Your Town?